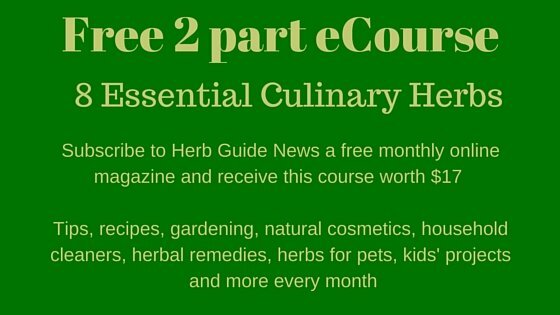 This article about the health benefits of basil has been written by my friend Danny. There are significant health benefits which have been used since ancient times. While many foods and herbs do have some healing powers, this one can deal with some of the most common ailments experienced in today’s society and can prevent tragic disease from occurring when used as a preventative measure. It tastes great in foods or teas and can also be used on compresses when needed. When the leaves are boiled in half a litre of water and mixed with sugar and milk, the mixture can bring down fevers rapidly when given every two to three hours. The expectorant properties can help a person cough up mucus causing bronchitis and cough due to cold. Chewing the fresh basil leaves helps relieve the common cold and flu. Asthma can be helped by making a tea of the leaves and taking daily. A tea made of tender basil leaves can help soothe a sore throat. It can also be used as a gargle to help relieve throat pain. 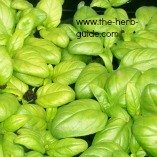 The basil essential oils can inhibit growth of many types of bacterial, some of which are quickly becoming antibiotic resistant. Staphylococus, e. coli, and many other bacteria can be inhibited by adding the chopped leaves to vinaigrette and generously dressing a fresh salad with the concoction. At the first sign of infection, begin using it to ward off the growth of bacteria and you may well avoid a visit to the doctor. Using it fresh or dried in foods as well as a tea can help reduce the inflammation caused by arthritis, inflammatory bowel syndrome, and joint inflammation caused to over-activity in sports. The eugenol is the substance which provides this great anti-inflammatory effect and it is much safer on the kidney and liver than over the counter medications which may not provide as much relief as this natural treatment. Basil is high in magnesium, iron, calcium, potassium and vitamin C. All these minerals and vitamins are critical to proper functioning of the heart, maintaining normal cholesterol levels, and maintenance of normal blood pressure. Because basil also has a stress-relieving effect, this combines with the minerals and vitamins to provide a very effective natural treatment for heart, cholesterol ,and blood pressure problems.